She is 9 months old with only 4.7 kg. weight. She was bred from my rough coat JRT and my friend's smooth coat JRT. 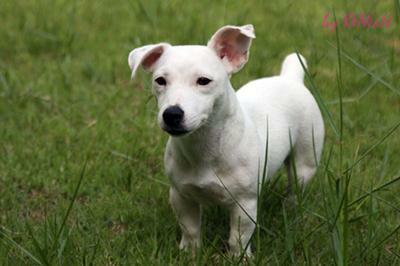 a very muscular and energetic dog..
We have a white JRT that has a pink nose and two small fawn color spots one on each ear.